By William & Mary. Office of Undergraduate Admission. 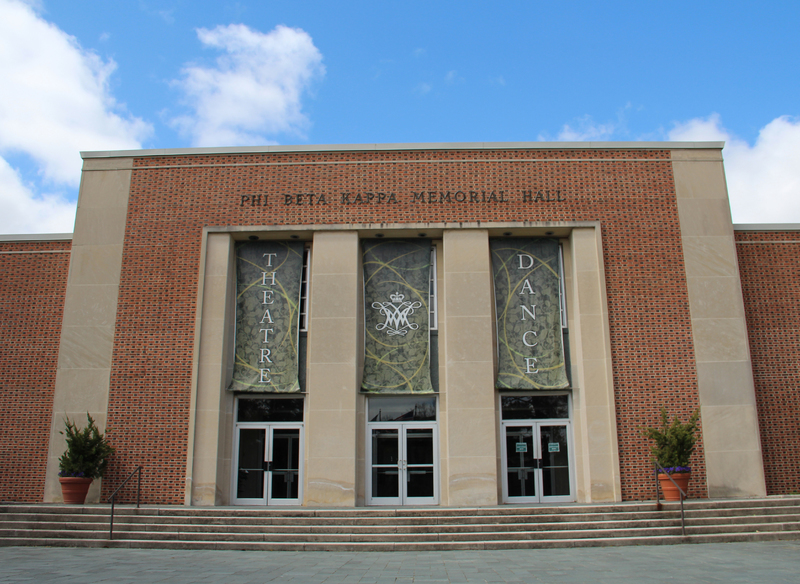 Home to William & Mary's Department of Theatre and Speech, Phi Beta Kappa Hall has played host to many notable female alumna and incredible performances. 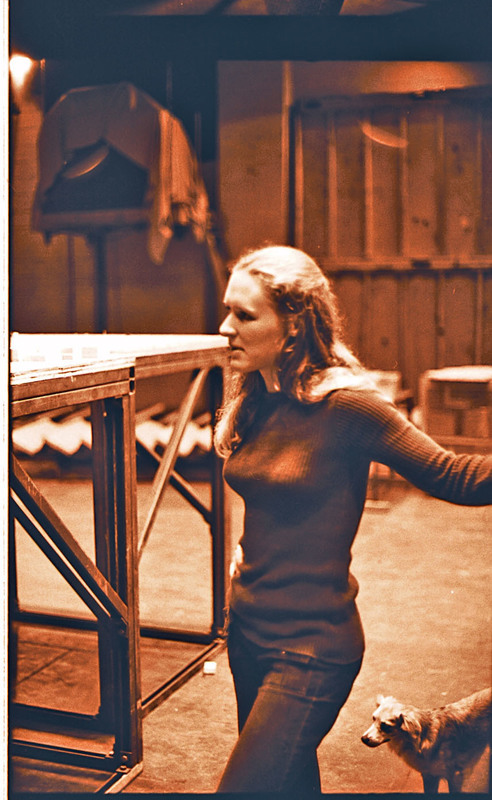 Glenn Close '74 honed her acting skills at Phi Beta Kappa Hall. Close performed in several productions with the Department of Theatre, Speech, and Dance, including "Twelfth Night" and "Anything Goes". Close, a Theatre and Anthropology major, said, “A liberal arts education keeps you curious, it keeps you interesting.” Known for her performances in "101 Dalmations" and "Fatal Attraction", Close has three Emmy awards, three Tony awards, a Golden Globe, and six Oscar nominations. Linda Lavin '59 is best known today for her lead role in the long running TV sitcom “Alice". As a student, Lavin starred in "Romeo and Juliet," "As You Like It" and many more productions. She was also a member of William & Mary's chapter of Theta Alpha Pi, national honor society that recognizes high achievement in theatre study and production. Upon her graduation from the College of William and Mary in 1959 she had already received her Actors' Equity Association card. More recently, William & Mary alumna Stephanie Szostak '94 starred in the 2006 film The Devil Wears Prada, along side Anne Hathaway and Meryl Streep. William & Mary. 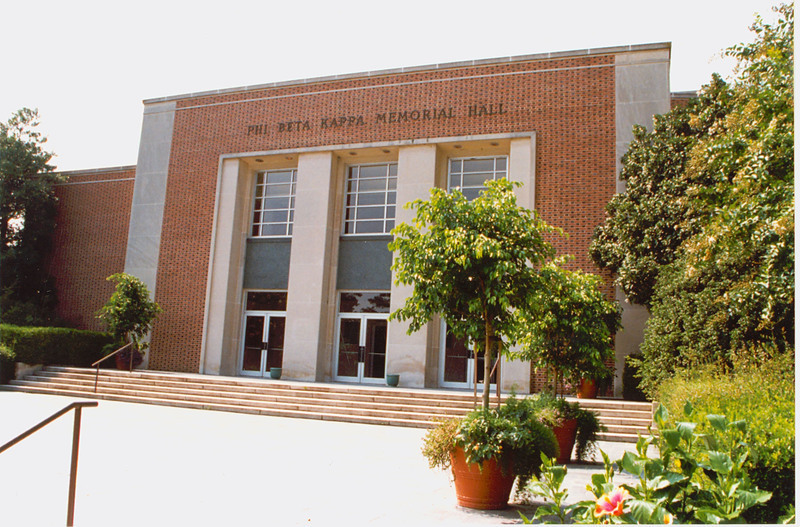 Office of Undergraduate Admission., “Phi Beta Kappa Hall ,” TribeTrek, accessed April 26, 2019, https://tribetrek.wm.edu/items/show/87.